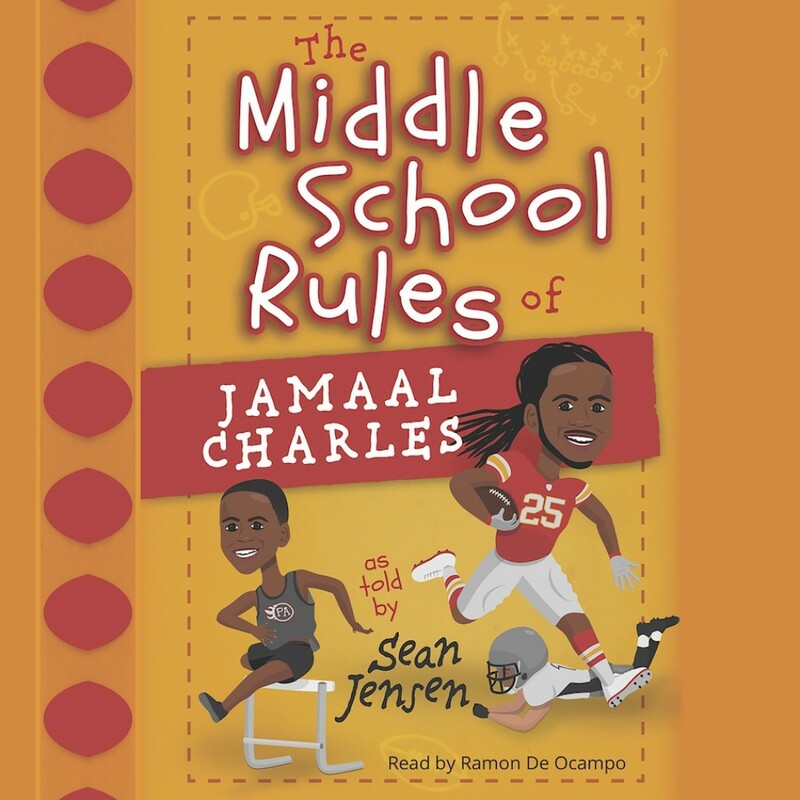 The Middle School Rules of Jamaal Charles | Sean Jensen | Audiobook Download - Christian audiobooks. Try us free. Five running backs were selected in the first round of the 2008 NFL Draft. Jamaal Charles was not among them. Despite piling up the fourth-most rushing yards at the University of Texas in just three seasons, he waited for eight other running backs to get selected ahead of him. The Middle School Rules of Jamaal Charles features the stories and lessons of Jamaal’s childhood, defined by people overlooking him. Young readers will see how Jamaal deals with bullying and endures teasing because of a long undiagnosed learning disability that enabled him to participate in the Special Olympics as a 10-year-old. The gold medals he won at the Special Olympics empowered him, and Jamaal displayed a rare work ethic and determination in everything he did on the field and in the classroom. A state champion hurdler, Jamaal ran for 4,107 yards and 50 touchdowns in his final two seasons at Memorial High School in Port Arthur, Texas. But readers will see how hard Jamaal had to study to earn a high enough mark on a standardized test to qualify for a full athletic scholarship. Dogged by doubts about his size, Jamaal is already the Chiefs’ all-time leading rusher, a four-time Pro Bowl selection and has more career rushing yards and total touchdowns than all but two of the eight running backs selected ahead of him in the 2008 NFL Draft. In fact, Jamaal owns a special NFL record: More yards per carry (5.5) than any other running back with at least 1,000 career carries!